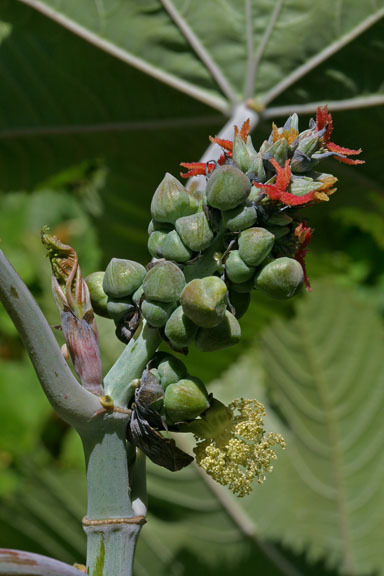 Invasive exotics that have increased in abundance or frequency but have not yet altered Florida plant communities to the extent shown by Category I species. Planting this species should be avoided and removal of existing plants may be desirable. 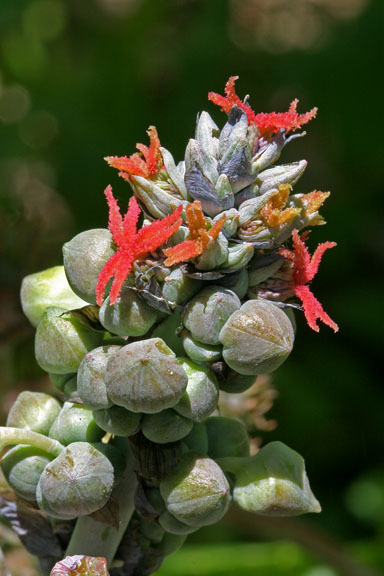 Native to Africa, castorbean can now be found in pinelands, along roadsides and other disturbed sites mostly in the central and south peninsula, but also in scattered locations in north Florida. It is also found in many other states, except for the upper midwest and northwest. 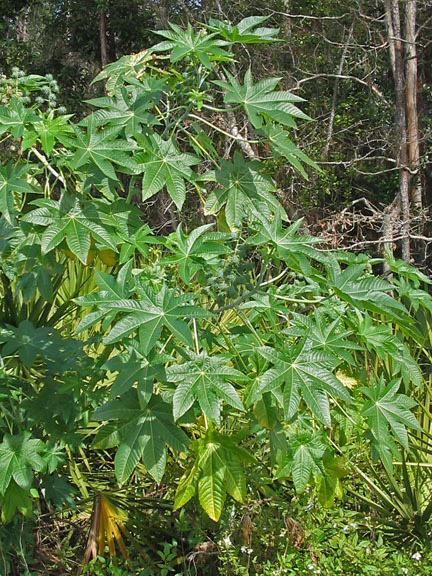 The large, star-shaped leaves with 7 or more pointed lobes are distinctive. Male flowers have yellow branched stamens and appear lower on the upright spikes. 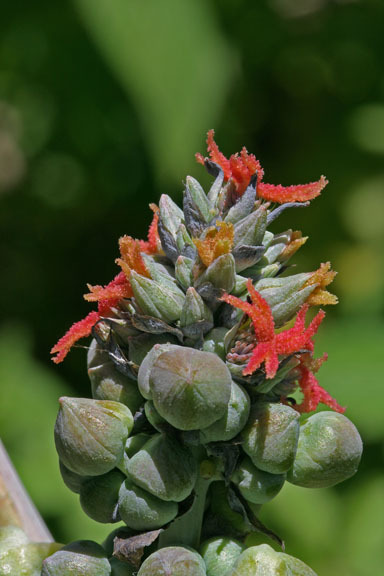 Female flowers have conspicuous red stigmas and appear on the upper portion of the spikes. The fruit is a burlike capsule containing the seeds. 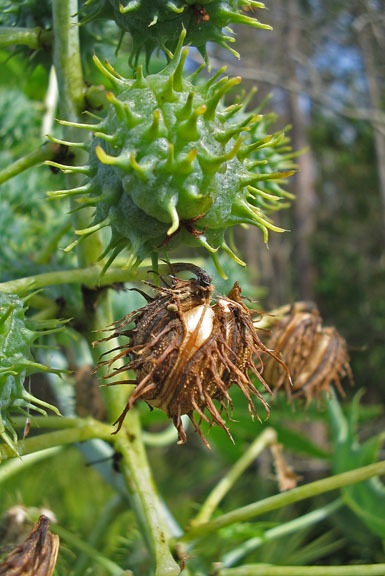 All parts of the plant are highly toxic and ingestion can be fatal. 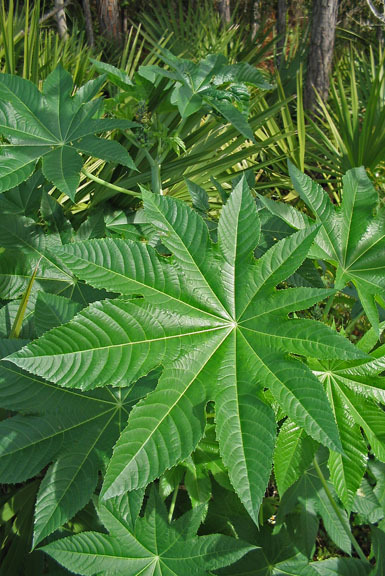 Ricinus communis is a member of the Euphorbiaceae - Spurge family.